My son is now an age when imagination runs riot and there is a 'benture' (adventure) to be had around every corner from on the living room sofa to under the dining room table. Everyday happenings that grown-ups take for granted elicit intrigue and the questions flow thick and fast as he tries to make sense of the world around him. Add a vivid imagination and a keen sense of hearing to the mix and we have the perfect recipe to keep Mum on her toes trying to sort fact from fiction. This is my first attempt at writing a fictional piece for children. Needless to say, it has been inspired by my son's current favourite obsessions. on an adventure to explore. Sorry about the w/ linky word in my entry. It doesnt really have a linky. Such beautiful pink flowers! They would lift my spirits on the school run. Great poem that really captures how a child's imagination works! I love your poem and what gorgeous flowers - is that taken now? 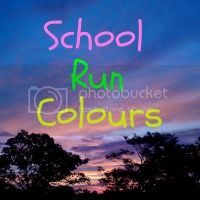 I would love to see colours like that on my school run! What a beautiful and well written poem.You definitely have talent for poetry. Wow, I always really admire anyone who can write poetry - yours is brilliant! Beautiful flowers and poem - what a lovely way to capture the world of a child's imagination. I love peotry but I am not brave enough to put mine in public. Good on you. how pretty are they! lovely.